The Club House is a two-story building (6,432 sq.ft.) on the east side of the lake and is home to the outdoor pool and fitness center. The upper level includes a large furnished and carpeted lounge area with a fireplace, cable TV, private restroom, and kitchen, as well as tables and chairs. 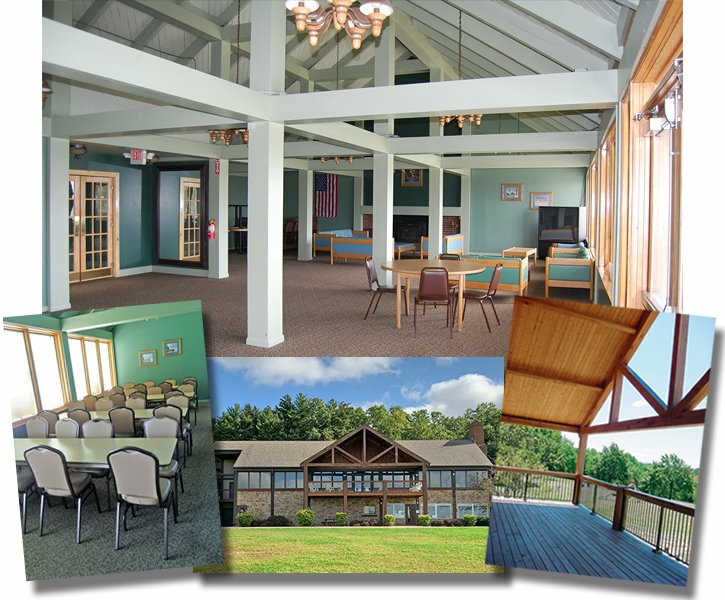 It is a popular place to rent for wedding receptions, family reunions, parties or other events. There is a large covered deck with a beautiful view of the lake. Only property owners in good standing may rent the upper Club House area. Adjacent to the large meeting room is a kitchen equipped with a stove, microwave, coffee maker, refrigerator, sink, and stainless steel food prep tables. There is ample countertop space with electrical outlets. This building is also used by sanctioned Apple Valley Clubs. Sign up for alerts hereto be notified of pool closures. 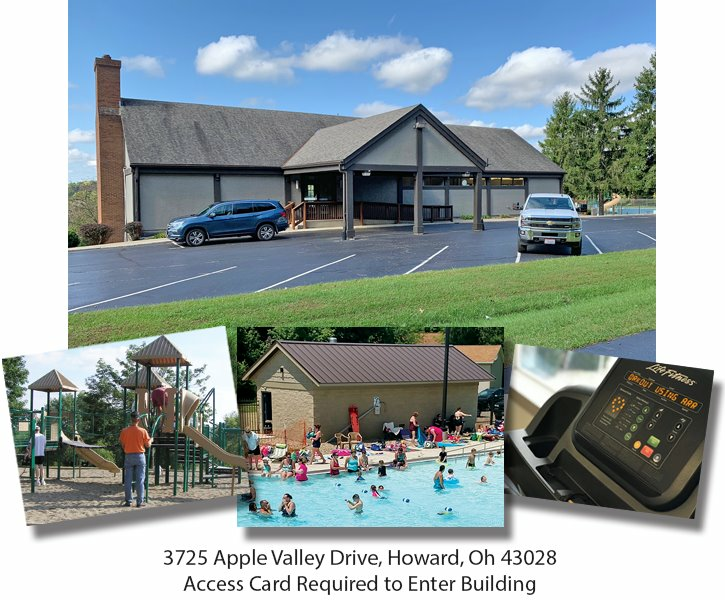 Fill out the information at the top of the form, scroll down toward the bottom until you see "TO SIGN UP FOR APPLE VALLEY..." and select the box "Community Events and Notices"
This newly constructed zero entry pool is for property owners and their guests*. The pool is heated, fenced and gated. Once inside the gate, you must sign-in at the area provided. Chairs are available for lounging by the pool as well as a few large umbrellas located just off the pool deck, which provide areas of shade. Fun features include a slide, spill buckets, and a basketball hoop. Floating devices and toys are permitted. (See outdoor pool rules). *A property owner may bring 6 guest per family unit. There is a per guest fee of $2.00. Open 4:30 a.m. - 11:00 p.m. 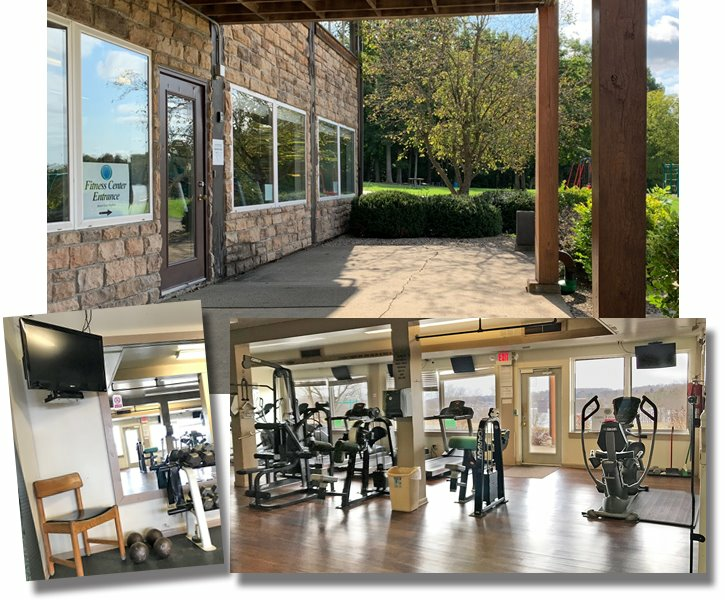 The lower level houses a fitness center, which is equipped with cardio and strength training machines, free weights & benches, as well as TV/DVD player. 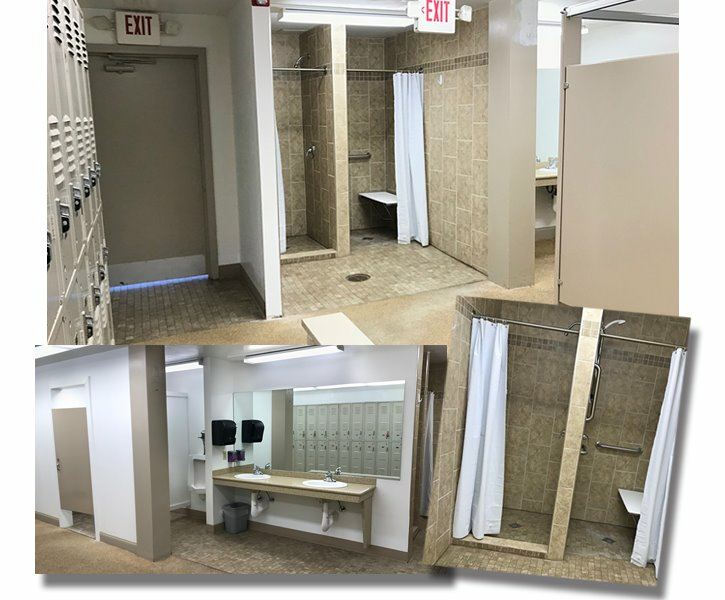 There are men's and women's changing rooms, restrooms, and showers. 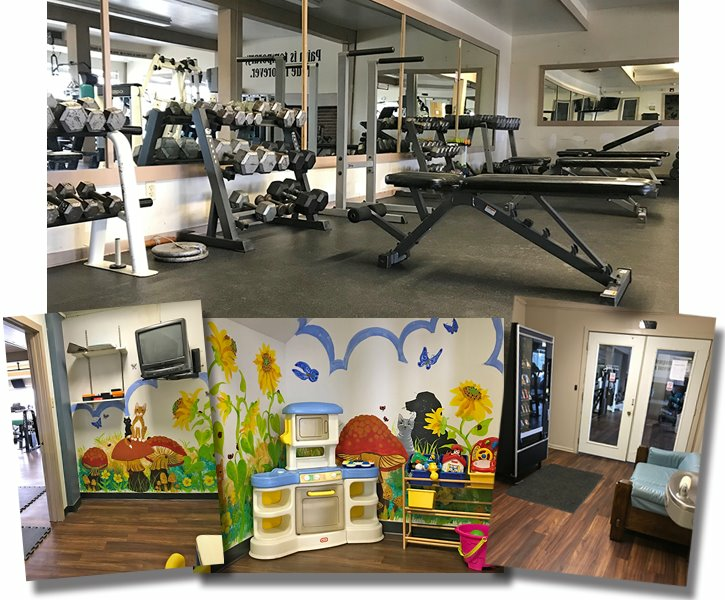 Please note: No one under 14 years of age will be permitted in the fitness center room, and should only be in the playroom while parents/guardians are using the equipment. Apple Valley Property Owners Association is not responsible for injuries. 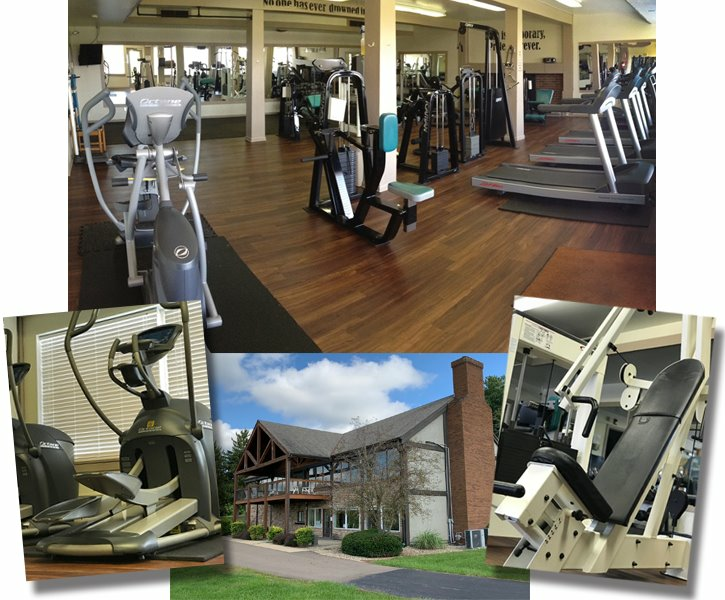 Property Owners may bring up to 2 guests to the fitness center. There is a clip board for guests to sign in. Guest fee is $2/guest. 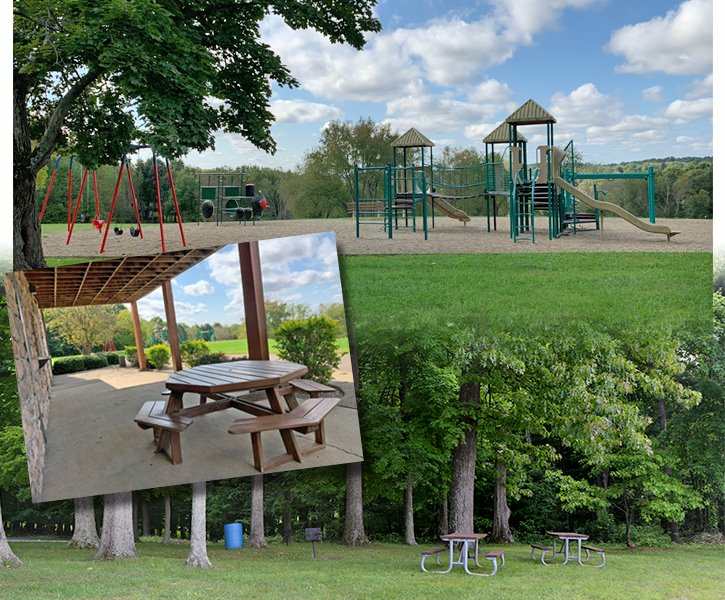 Property owners can enjoy the great outdoors with plenty of room to roam. There are picnic tables in the shade with an outdoor grill and picnic table. And there is a playground for the little ones to swing and climb.